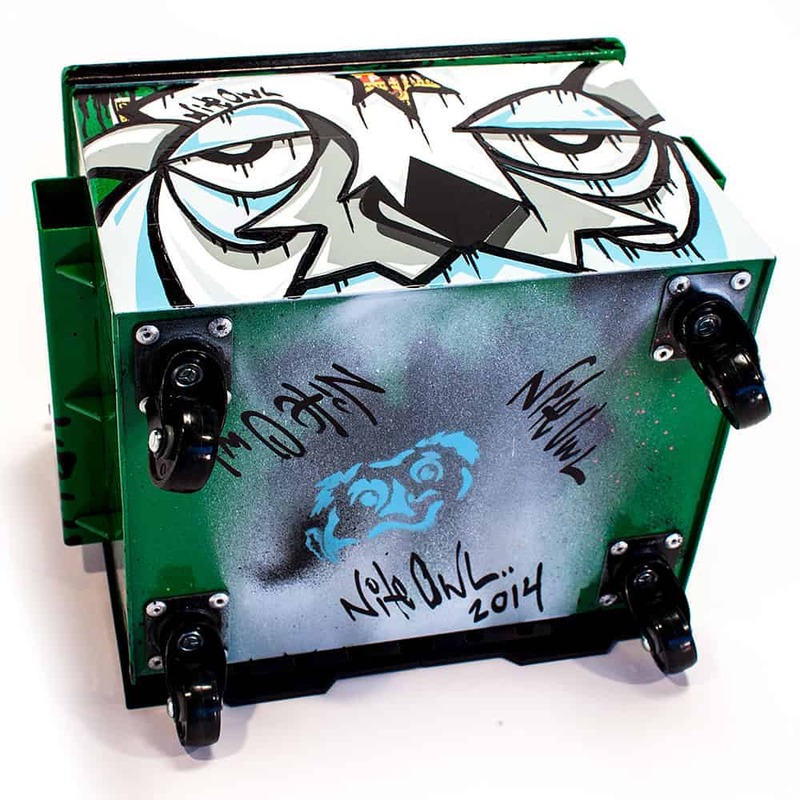 Nite Owl’s signature owls and tags from Chopsticks Urban Art Space artists Maska ASE STM, Lisa Pisa, Chris Granillo, Onedr, Aura CBS 640 EK TDF, Jihad AF, PI, OH and Saltr. 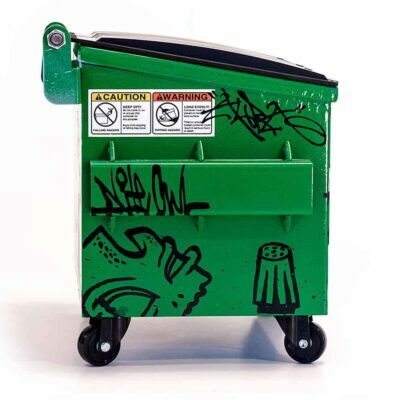 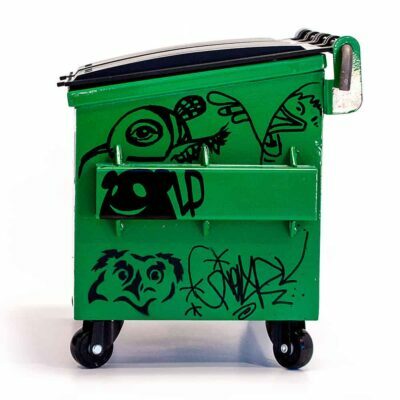 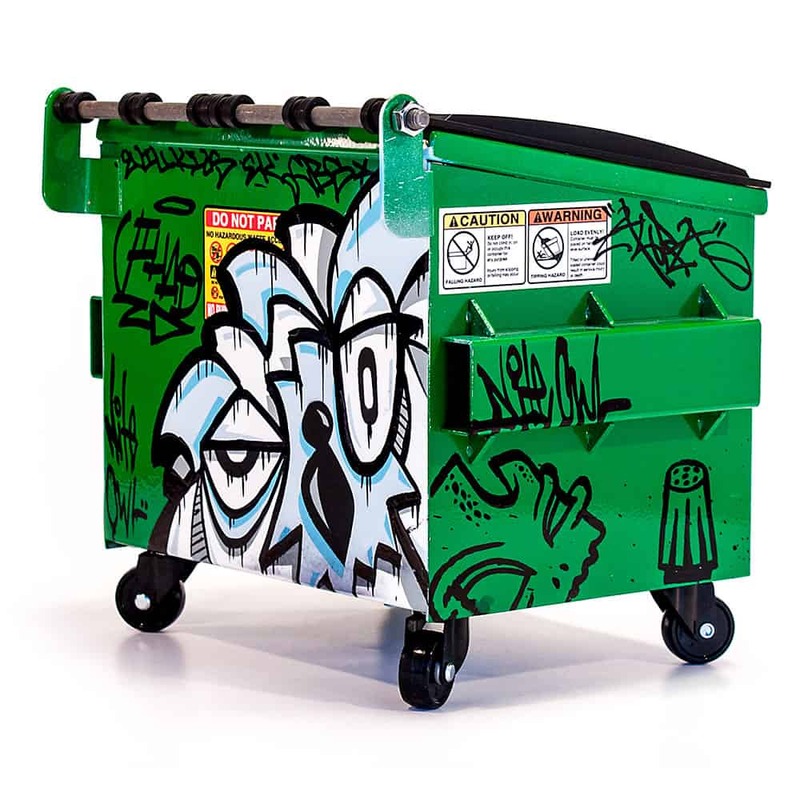 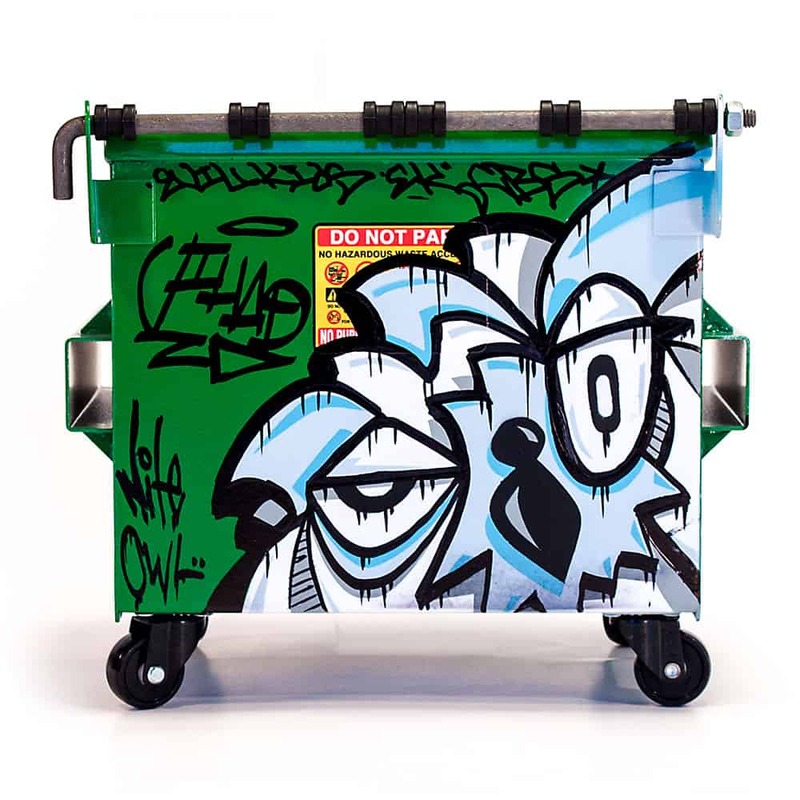 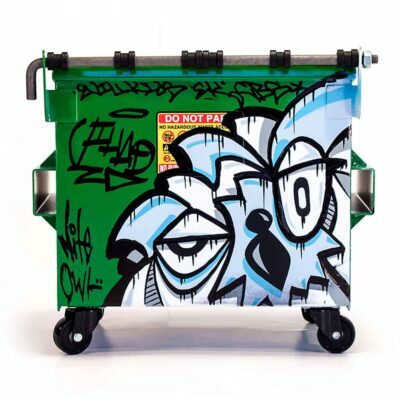 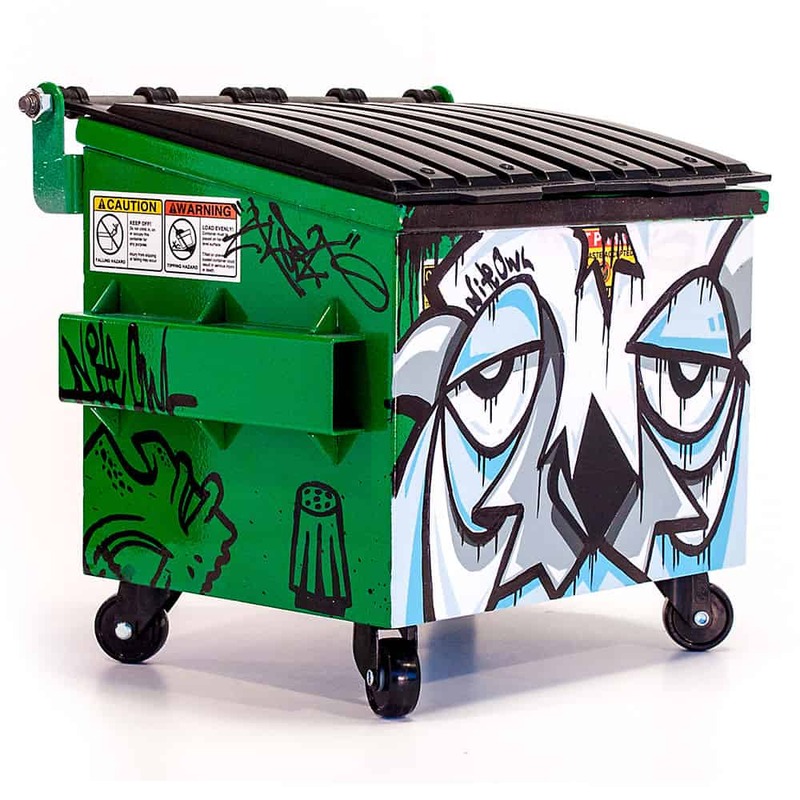 Artist Edition Dumpsty dumpsters are issued as single edition pieces of art. 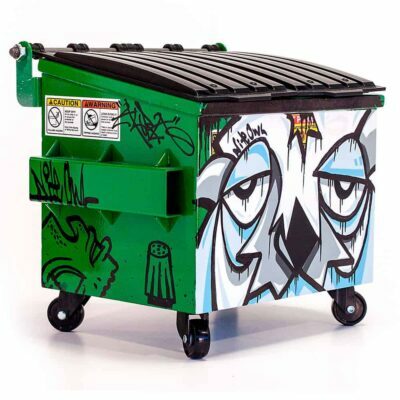 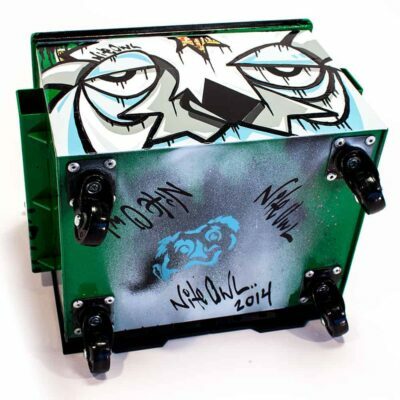 If you would like this artist to make a custom Dumpsty for you, please contact us.